Complex says: This eco-friendly treasure displays colorful WAP and HTML Web pages and pushes fast response speeds thanks in part to 3G-network support. 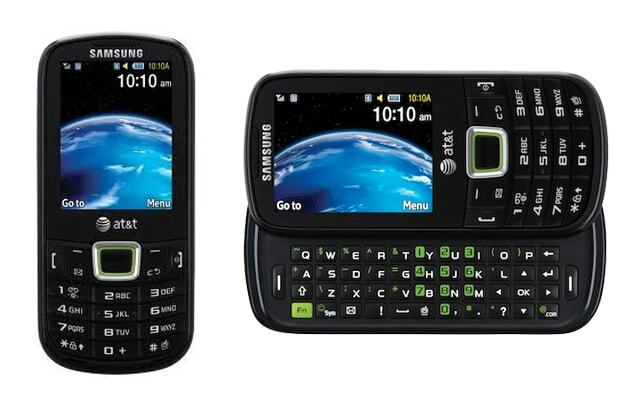 You have a four-row QWERTY keyboard that makes for great texting, especially when updating social sites via AT&T Social Net. Its 2MP camera produces quality shots and call quality ranks high compared to other AT&T models. Here’s a phone that can leave many smartphone users green with envy.